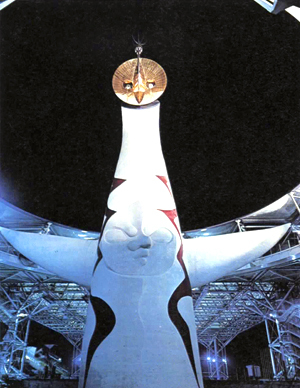 The Expo '70 symbol zone, the focal point of the Exposition. 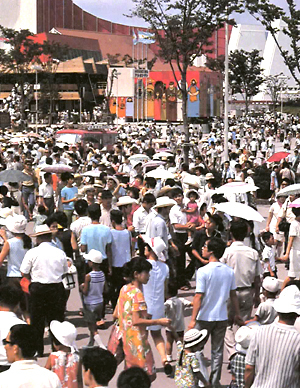 Over 350,000 visitors a day visited the Exposition. 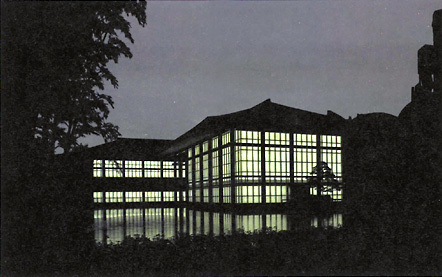 The Matsushita Pavilion, in traditional style, surrounded by water and bamboo. 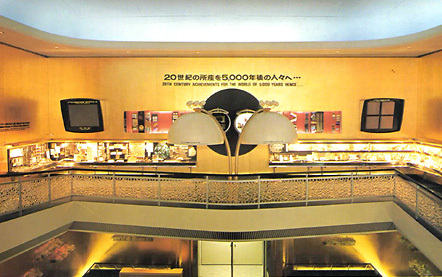 Inside the Matsushita Pavilion, the main exhibit, "Time Capsule Expo '70." 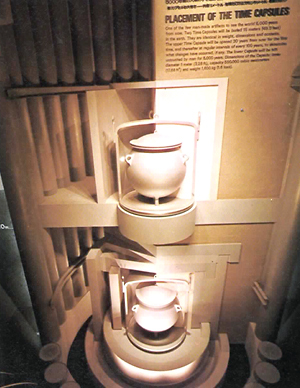 A model showing the placement of the capsule underground, including their containers and enclosures. 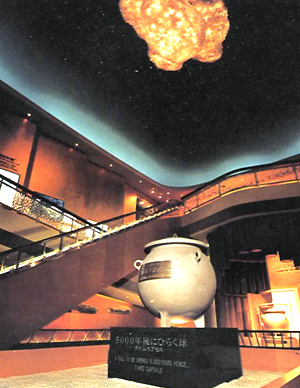 One complete set of contents, displayed on the mezzanine gallery.